Antiparos is a small island in the southern Aegean sea, at the heart of the Cyclades. 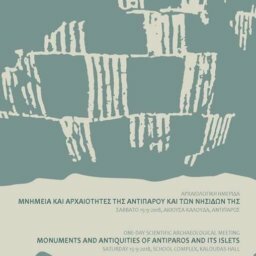 See below various maps of Antiparos. 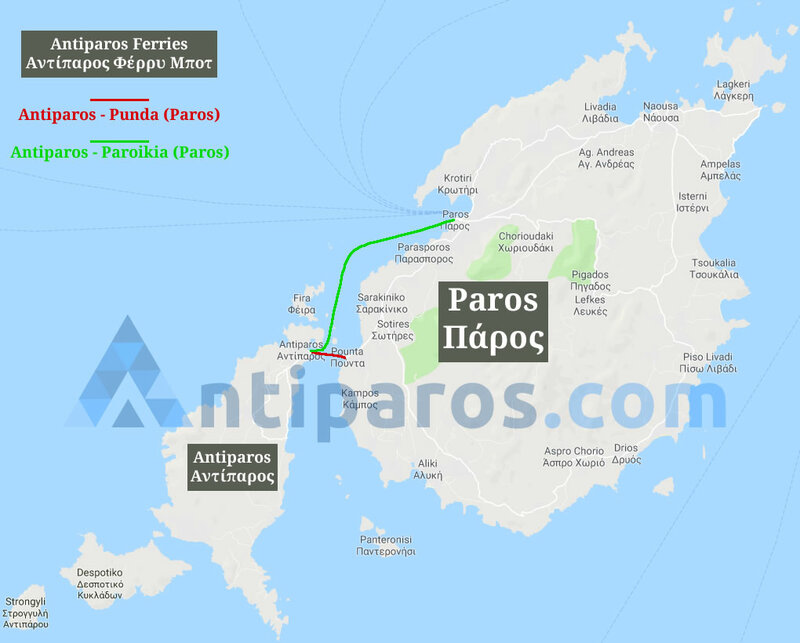 Antiparos is less than one nautical mile from Paros island to which it is connected with a local ferry boat. 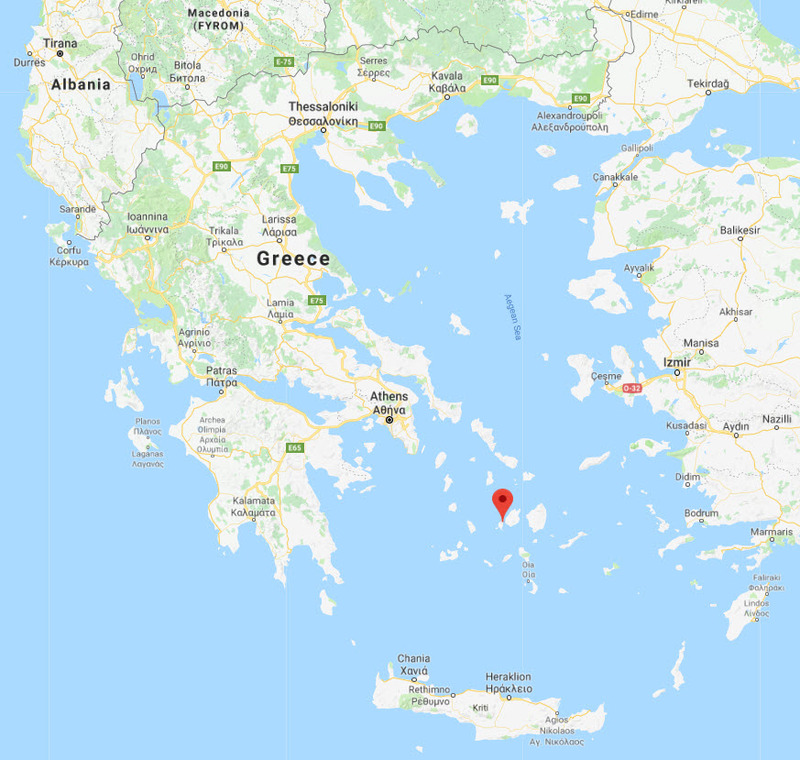 This is a Google satellite map of Antiparos island in Cyclades, Greece. 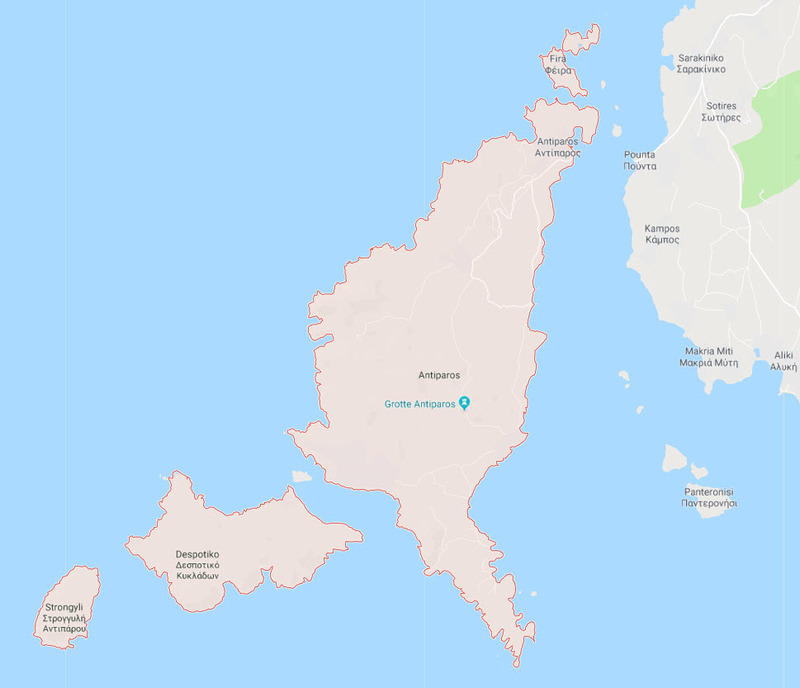 You can find a regular Google map of Antiparos below. Antiparos island is located in the heart of Cyclades, in southern Aegean sea, 0.8 nautical miles south-west from the island of Paros. 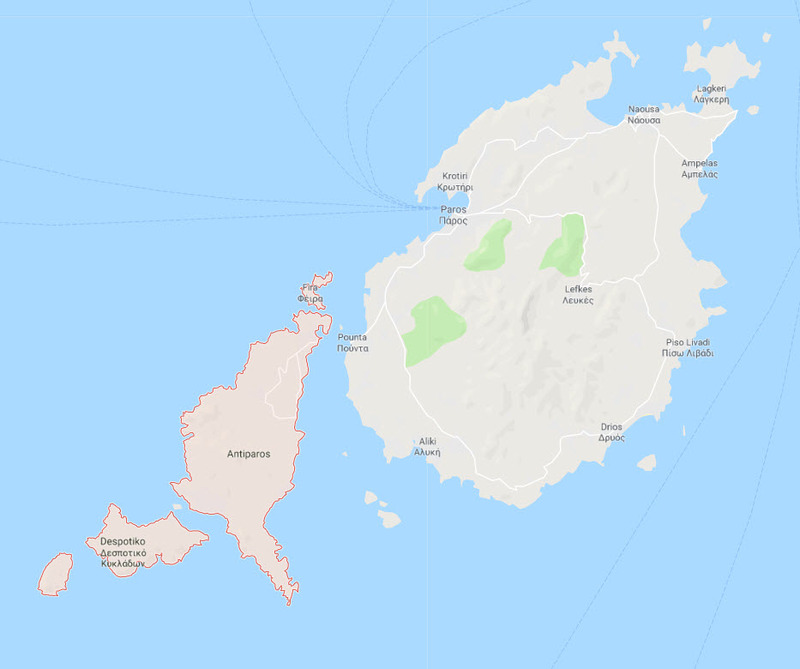 The maximum length of the island is 11 kilometres (6.8 miles) from north to south, while the maximum width reaches 4.5 kilometres (2.8 miles). The total area is estimated at 37 to 38 km (23 to 24 mi). And the highest peak, St. Elias, in the middle of the island, is at 308 m. The main town is called simply Antiparos. 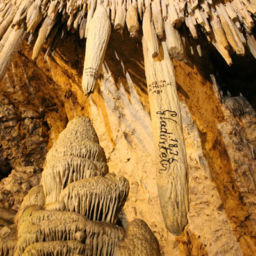 In the central and southern Aegean sea, between the Peloponnese and the Dodecanese islands, there is an island group made of 30 larger, inhabited islands and approximately 190 islets. 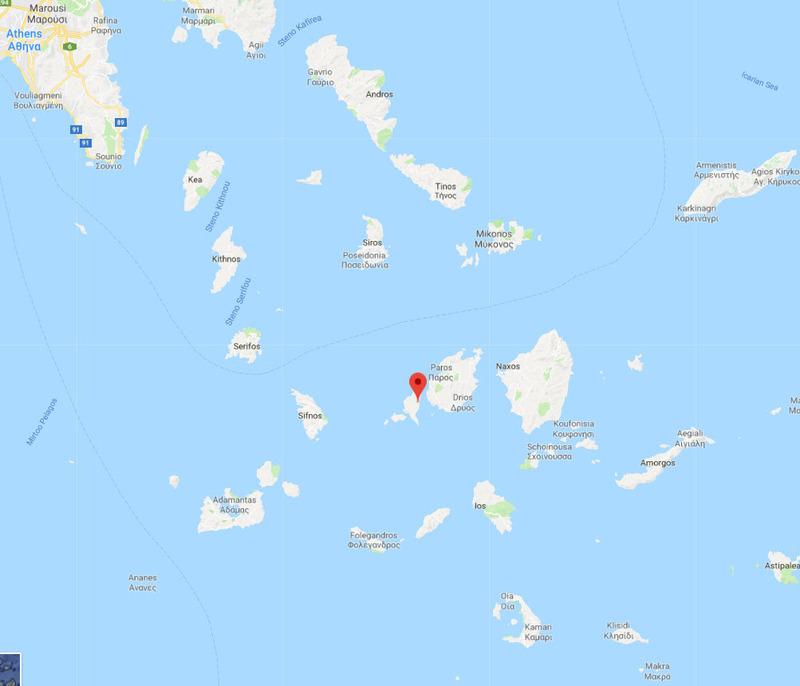 The Ancient Greeks called these islands the Cyclades and they believed that Delos—the great religious center of antiquity—constituted their center.